If you’re reading this (yay! ), the world did not end as predicted. This means many different things to the those of us in the survivor collective. For some, and you know who you are, Christmas shopping must now begin in complete and frantic earnest. And, yes, we still have to go on with the same-old: pay that pile of pesky bills, go to work, cook supper, shovel the driveway, just like we always have. But, for the many who believed this was indeed the end, those who weren’t exactly sure, and those of us who were positive December 21 would show up unscathed, right on schedule, we’ve been given a do-over. I don’t know anyone who hasn’t found 2012 to be a difficult and challenging year, and no one can deny we’ve been constantly surrounded with disaster and tragedy over which we usually have no control. I invite all of you, as writers in particular, to join me in taking a thorough look at who we are, what we do, and how we live. Are we the kind of writers we wish to be? No matter what our genre is, our truth needs to shine through to all our readers. Our written words, fiction or non, carry the responsibility of showing our genuine view of the world seen through our eyes, presented for their consideration. Do our writing habits reflect commitment and dedication to our craft? Do our written words reflect the deep thought and research that took place or should have taken place? There must be fact in our fiction, creativity in our nonfiction. Our job is to take the time to write authentic words, telling our truth, with passion, in all stories and articles. Do we say ‘I’m a writer’ with conviction and pride? We should develop the necessary habits of discipline and devotion to our writing required for success, including never giving up on our goals. Let’s honor our writing by finding and scheduling the time to write, demonstrating to those in our lives that this is who we are: writers. 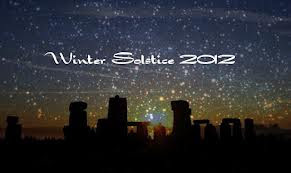 Happy Winter Solstice, fellow writers. Let’s get our words out there. I enjoyed this writing reflection. I believe I'm dedicated and disciplined with my writing. Maggie, This was just the encouragement I needed at this time. Thank you for the thoughtful post. Happy Holidays.